Japan’s own mita sneakers is ready to help adidas introduce the world to the next chapter in the NMD’s evolution, the TS1. 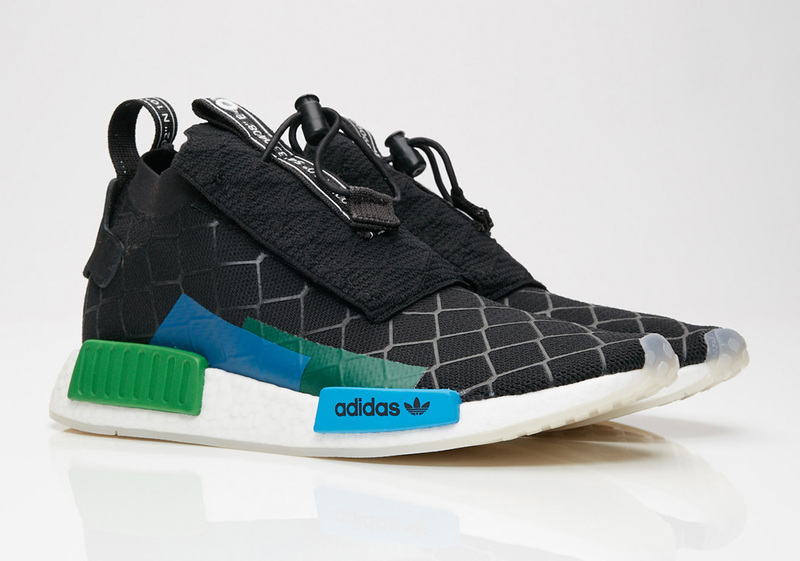 Set to release alongside a deconstructed Stan Smith as well, this black, blue, and green adidas NMD utilizes mita’s recurring chain-link fence aesthetic that normally sticks to the insoles of the collaborative sneakers they work on. Sporting a higher silhouette than the usual NMD, the TS1 also ushers in a brand new shroud that utilizes an unconventional draw string lacing system as opposed to a more customary unit. Coordinates play a key role in this collaboration, as they can be seen atop the shroud as well as on its heel tab that normally says “The Brand With the Three Stripes” in multiple languages. Those coordinates are symbolic of mita’s brick-and-mortar location in Japan as well as the Three Stripe’s headquarters in Germany. mita Sneakers is currently scheduled to release the adidas NMD TS1 exclusively on July 7th while other Consortium accounts the likes of SNS will drop their pairs the next week on the 14th.